I have a soft spot for the Alfetta sedan. My first Alfa was an Alfetta sedan. I bought it in the early 1980s. It was a purple color, called "Prugna" by Alfa. When I bought it it had four silver doors. I repainted it the original color and it looked quite good. 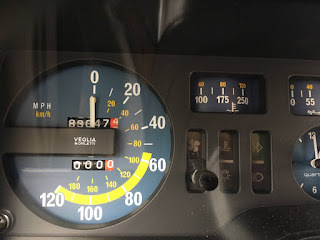 That Alfetta sedan lead me to an Alfetta GT, then another Alfetta GT, then a new Milano and two Spiders. I haven't owned an Alfa in quite a few years. I guess I am a recovering Alfaholic. But the temptation is always there. 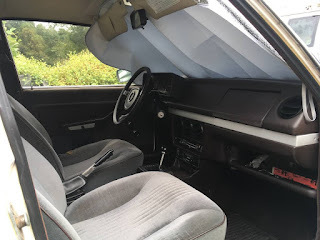 In 1978 Alfa did a makeover on the exterior and interior of the Alfetta sedan. In the U.S. they changed the name to "Sports Sedan." It was certainly not the fastest sedan you could buy (0-60 MPH took 11 seconds), but it handled incredibly well. The suspension was double wishbones and torsion bars in front. In the rear was the transaxle, inboard brakes, and a de Dion suspension. The Alfetta had nearly perfect 50/50 weight distribution. 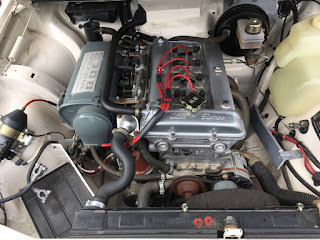 The Alfetta / Sports Sedan was, of course, not without faults. Rust was the major problem. They rusted anywhere and everywhere. 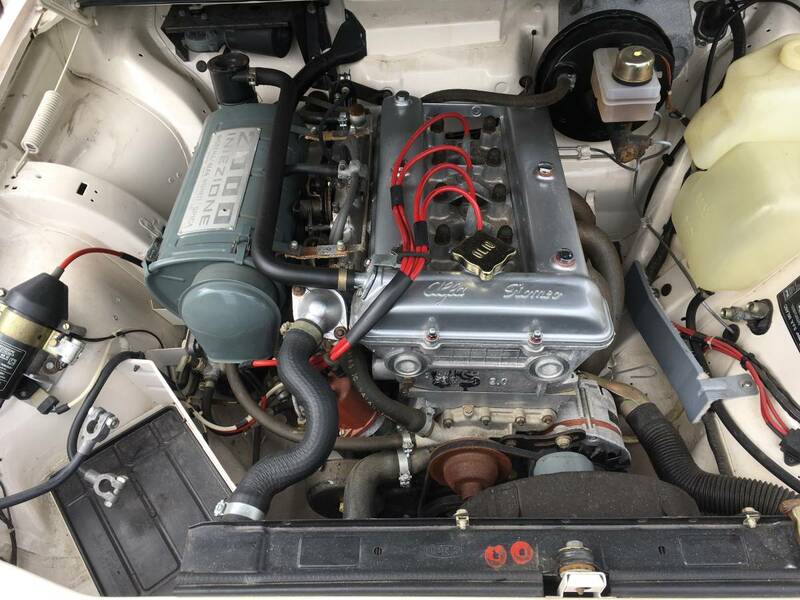 The fuel injection system on all U.S. spec cars included a mechanical Spica injection pump. They are wonderful when they work, but expensive to repair when they don't. (Here's some advice from personal experience. It's very tempting to take off the injection pump when it goes bad and replace the whole system with a set of Webers. I did this on one of my Alfettas. The car never ran 100% right - even after changing the cams. Don't do it. Find someone who knows how to rebuild the pump and set it up properly. They are out there. It will be well worth it.) Other minor problems include electrical gremlins - nothing serious - and the typical Alfa second gear synchro issue. Which brings us to this car. There's no need to worry about the second gear synchro. It's an automatic. If you're still reading this after that last sentence, here's the list of good stuff... 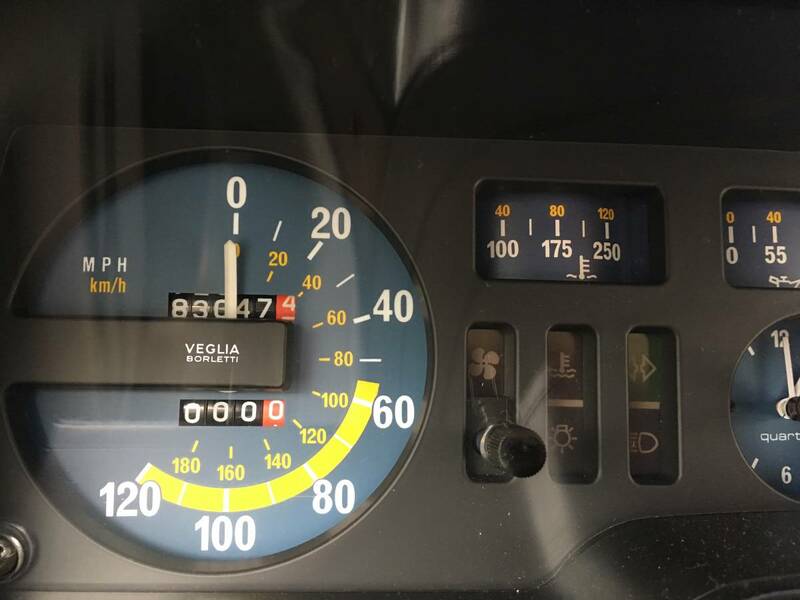 The seller says "everything mechanical has been replaced or rebuilt." The motor was completely rebuilt, including a new head from Alfa. The injection pump has been rebuilt by Ingram Enterprises. He goes on to say "(the) distributor has been updated to electronic (Marelli plex201) & the rest of the ignition system is new. All brakes including master cylinder, all 4 calipers, all 4 rotors, all brake hoses are new. Wheel bearings were all replaced & rear axles are new. All ball joints & tie rods are new. Complete exhaust system is new." Basically, everything you need to do on an old Alfa has been done. The body has a few flaws, but nothing too bad by Alfa standards. The seller writes, "only rust is at rear wheel arches, one small spot on outer rocker & bottoms of doors." He is including another set of doors with the car. I have never owned an Alfa with an automatic. I imagine that it takes some of the fun out of driving it. But, authomatic or not, it is still an great handling, beautiful sedan. It's aslo an Alfa. Best of all, its not expensive. The asking price is just $3900.00. Located in Coatesville, PA, click here to see the Craigslist ad. I LOOOOOVED the Alfa Romeo 'Sport Sedan'...seriously, did it take less than ten seconds to come up with that name? 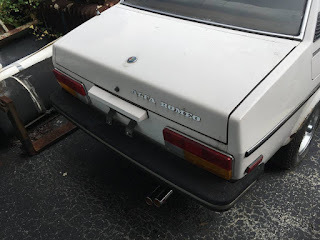 And how did Alfa NA ever think that renaming the Alfetta to Sport Sedan would have sold even one extra car? 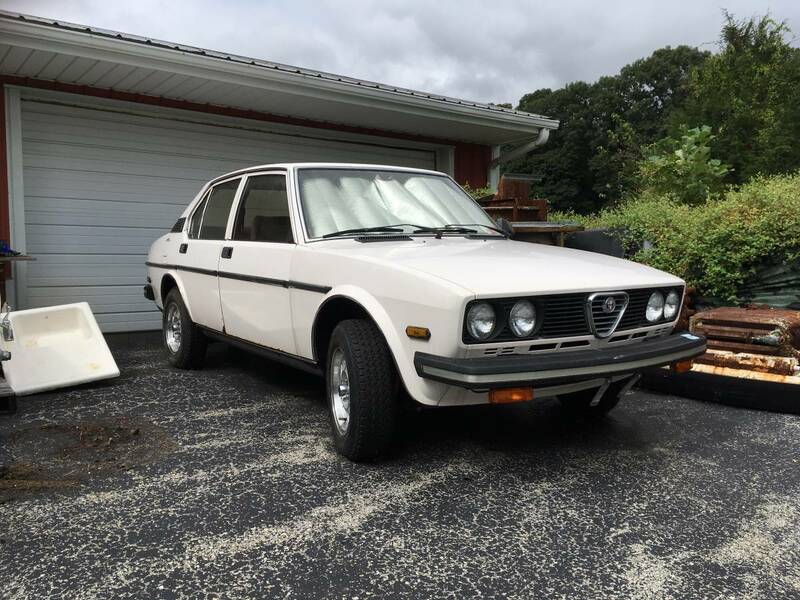 In any event, the refresh of the Alfetta back in the late 70's made it inot one handsome sedan. I do remember that in order to get a bigger foothold in the US market (like maybe sell 5,000 cars per year) and along with the 'brilliant' renaming of the car, Alfa was really pushing the automatic version of this car so I am not surprised that this is an auto.